BOULDER — Salewa North America, the trade name for a company that includes several outdoors brands in the U.S. and Canada, has a new country manager. Drew Saunders will take over leadership of the North American team, based at the company’s North American headquarters in Boulder. Saunders will report to Chief Sales Officer Claes Broqvist, based in Italy. The corporate name for the company is Salewa USA LLC. 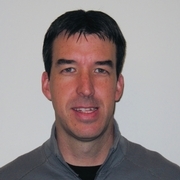 Drew Saunders is the new country manager for Salewa North America. Courtesy Salewa North America. Saunders, who has been at Salewa North America for 10 years, will be responsible for the growth and profitability of the North American business. Reporting to Saunders will be Ross Herr, who was promoted to sales and marketing manager. Other direct reports include Cassandra Longino, accounting manager; Danny Ciavarro, customer service manager and Evan Horenovsky, operations analyst. The Salewa North America business consists of four brands: Salewa, a brand specializing in mountain gear and technical hiking; Dynafit, a full-line backcountry ski and endurance brand; Wild Country, specializing in gear for rock climbers; and Pomoca, which produce Swiss climbing skins.